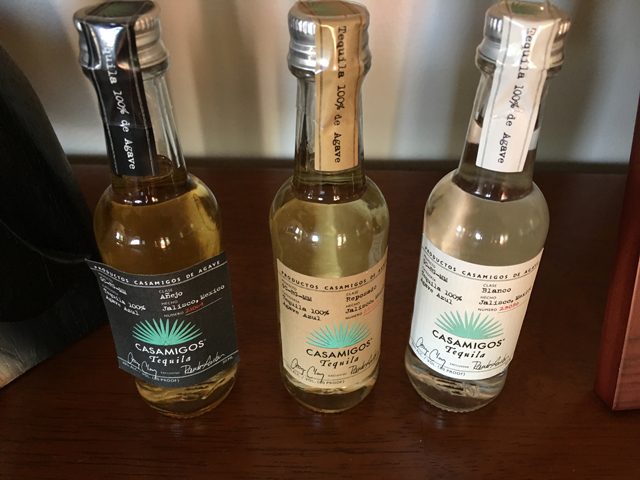 Ever since I first tasted Casamigos back in late 2013, it’s become one of my favorite tequilas. And not because it’s made by a couple of celebrities – George Clooney and Rande Gerber [if you don’t know his name, you will know who his wife is – Cindy Crawford]. But if they were at a tasting, I would have no problem trying to attend to thank them for creating this great tequila brand. I first heard about it in early January 2013, where I mention it here in this blog post. I first tried the Blanco, then the Reposado and then the Añejo. The Blanco was used in the palomas I made on New Year’s Day 2014. For Cinco de Mayo in May 2014, I tried the Reposado, which made a simple yet great tasting margarita on the rocks [I’m not a fan of blended]. And then not quite a year ago, I finally was able to find the Añejo. I will go into more detail on that tequila below. The above photo is one I took last October when I was on vacation in Virginia. They have great prices on the 750ml bottles of Casmigos [and they have all 3 blends]. I was tempted to purchase the Añejo and put it in my checked baggage. Only the Blanco is available at the Utah State Liquor stores and at $50 per 750ml, it’s a lot to spend for making cocktails. 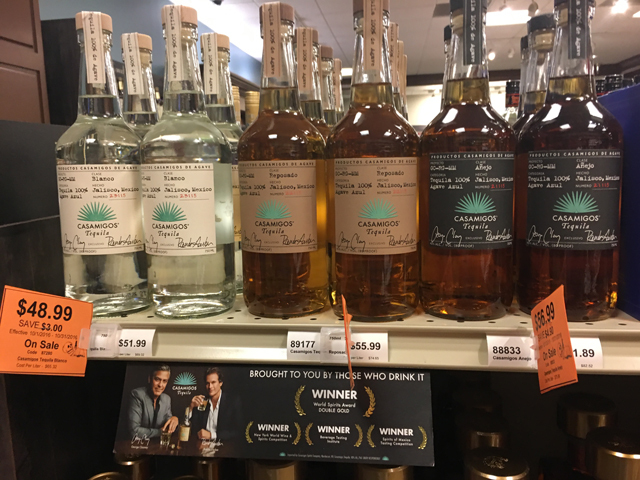 The reposado is one that I have to get out of the state, usually in Nevada, which it’s $48 per 750ml bottle. 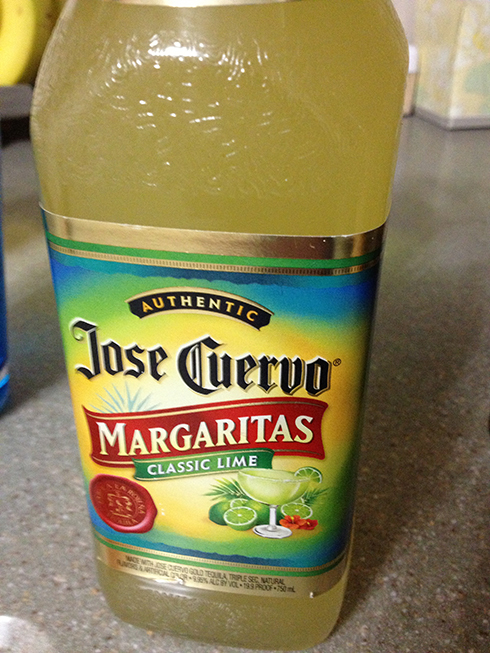 It’s a nice sipping tequila and as I mentioned above, makes a great margarita. The best and more refined of the tequilas is the Añejo. It’s a lot more per bottle, but very much worth it. I can get the 750ml for $85. I have yet to purchase the 750ml bottle. The photo above is the 375ml bottle which is around $32. The smoothness of this tequila is quite nice and easily consumed, served in a slightly chilled shot glass. Never chill this brand of tequila. I personally don’t think any tequila should be chilled, but that’s my preference. 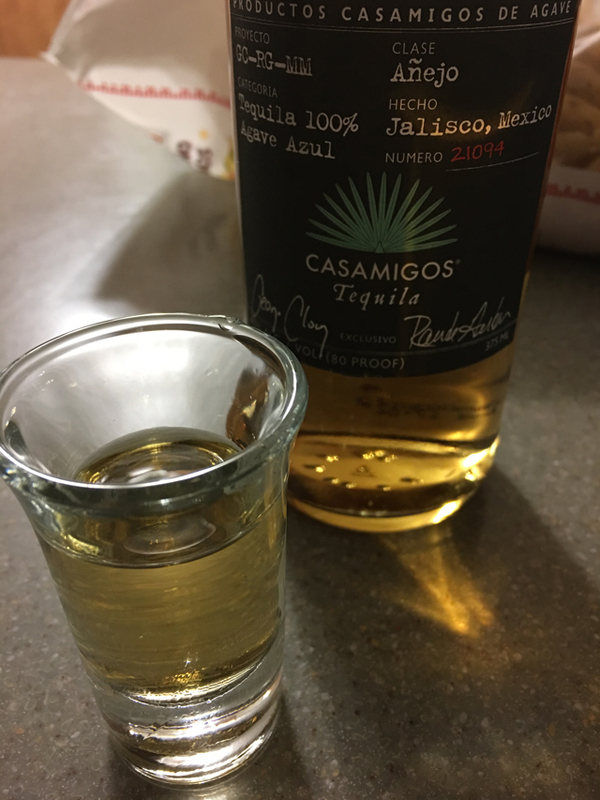 This is the first time I’m blogging about the Añejo, but I will go into more detail in a future blog post once I get more of it [and in a bigger bottle, too]. If you get a chance to try some in your area, please do. It’s worth the extra for a nice, high quality tequila. I need to try this brand. I only heard of it recently when I saw a truck with Clooney and Gerber’s signature on it. I think you will like it. It’s become my favorite tequila since I first had it.